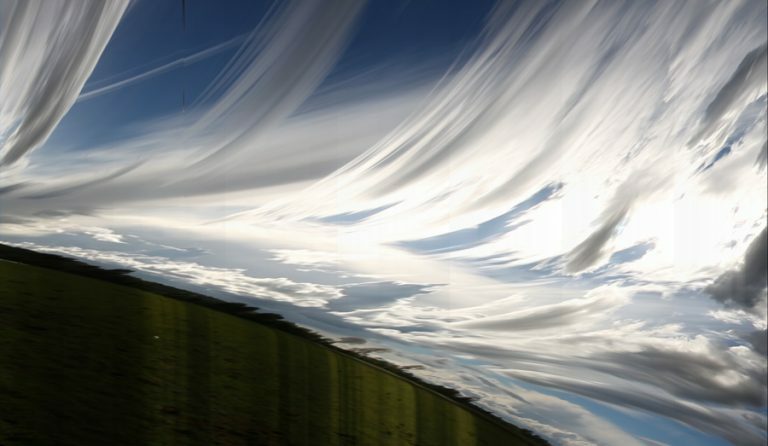 This image is made from time lapse footage of cumulus clouds, filmed over 30 minutes, to create a very much distorted image of clouds as they form and disperse. The higher clouds are moving slower than the low clouds. 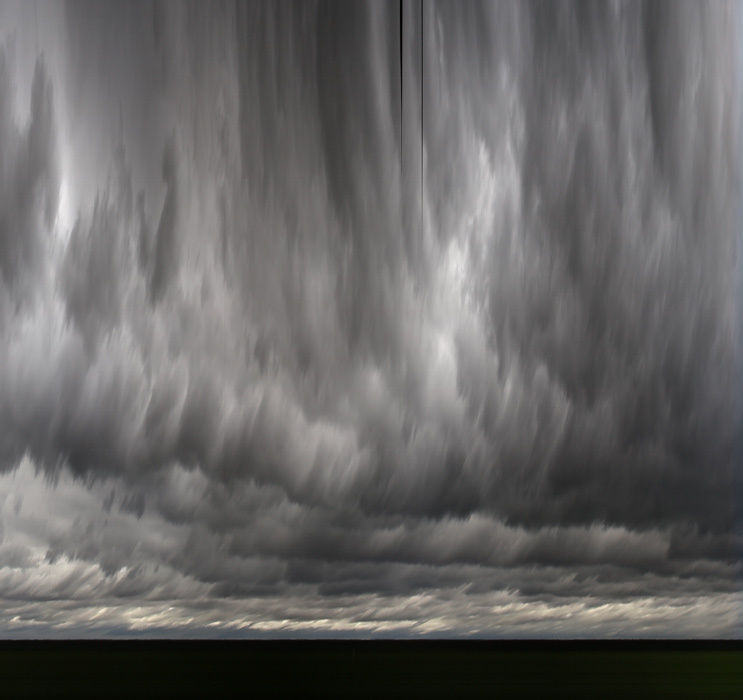 Stratocumulus clouds blowing over Port Meadow from 15 minutes of time lapse footage.